for Mixers, Drum Machines, Synth Modules, Laptops, etc. 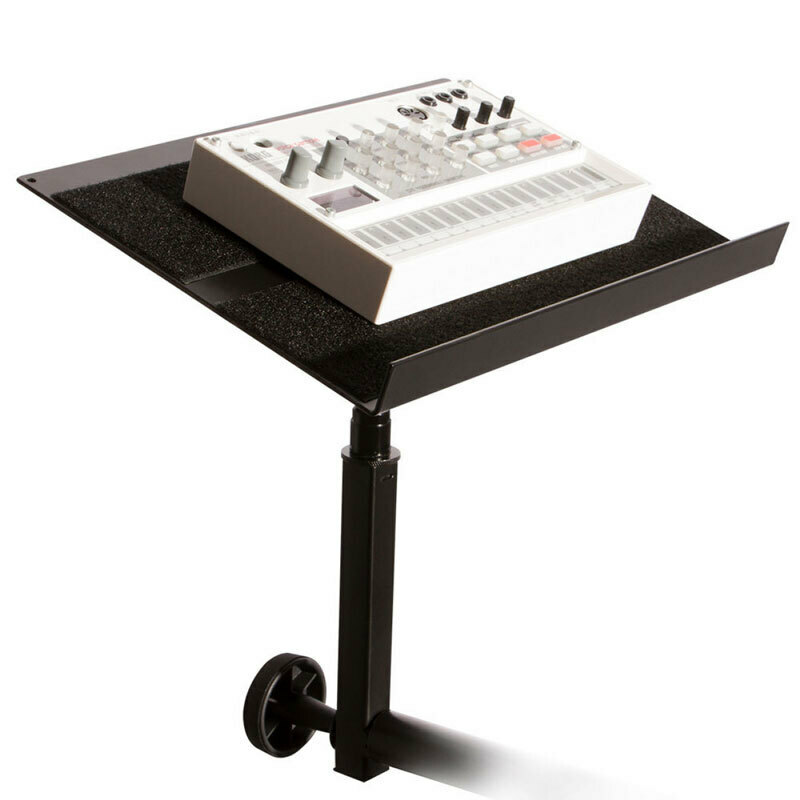 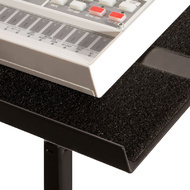 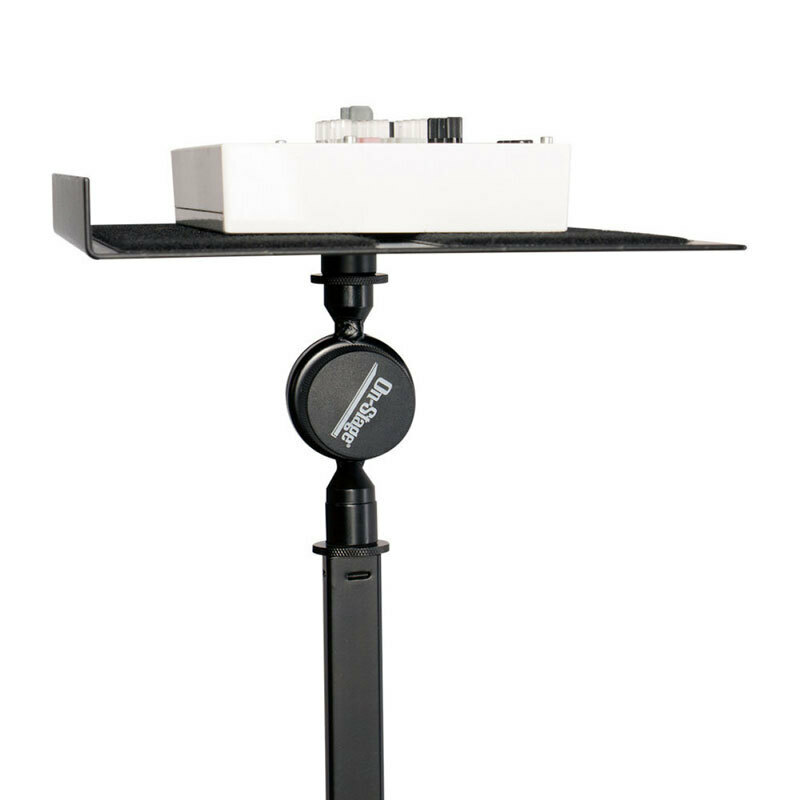 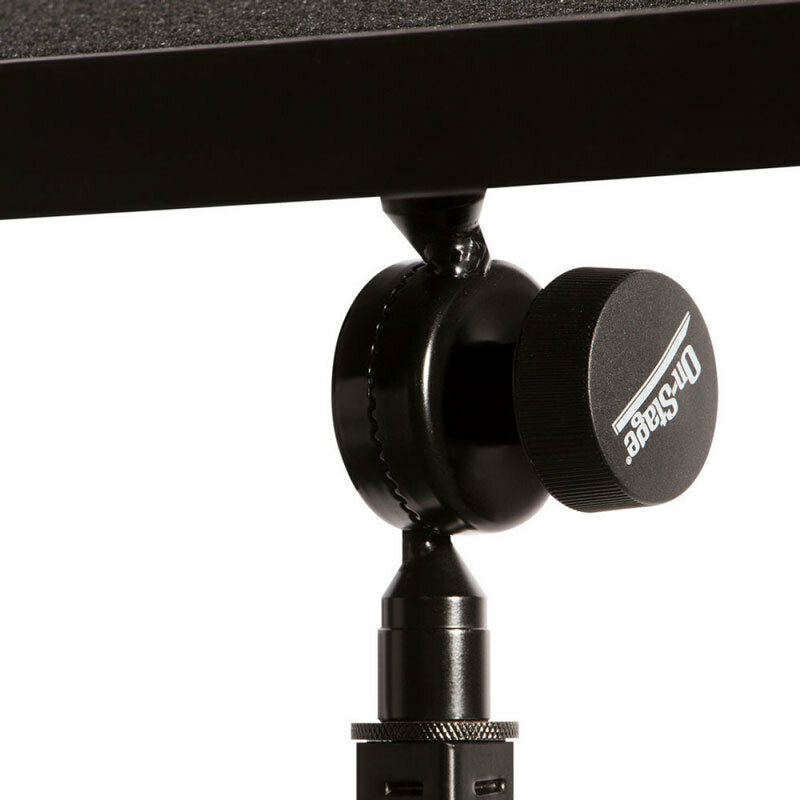 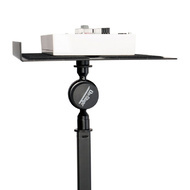 The On-Stage KSA8585 Keyboard Tray - perfect for small mixers, drum machines, synth modules, effects pedals and small speakers, attaches easily to any one or two-tier stand with 1" round or square tubing. 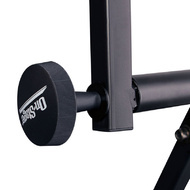 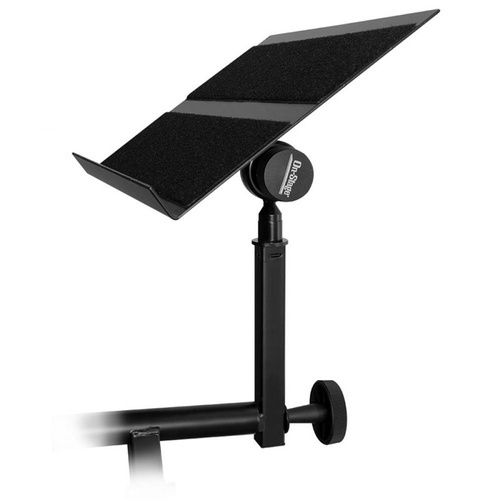 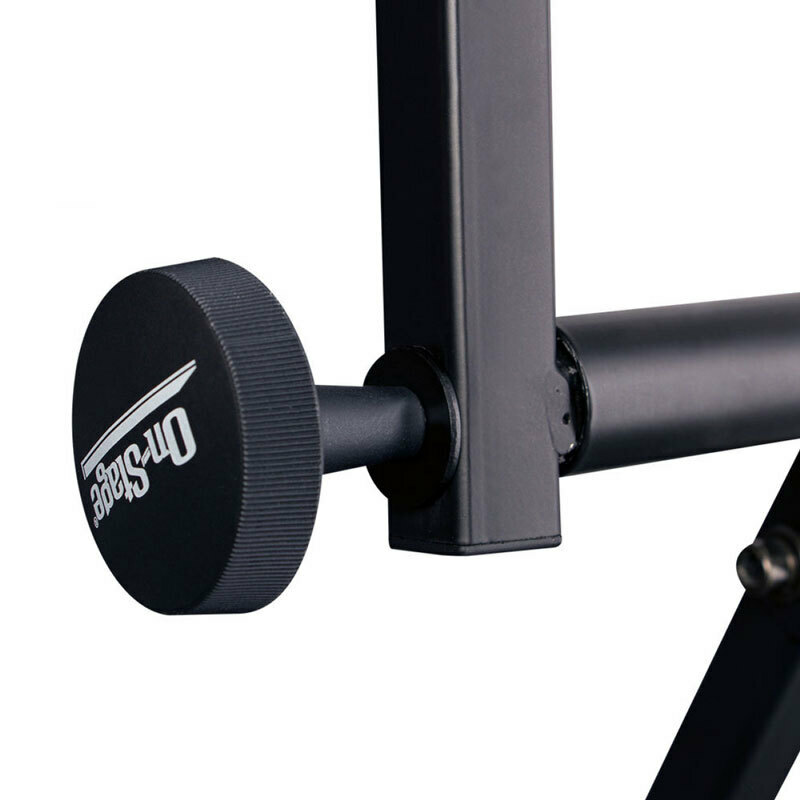 Complete with Posi-lok pivot mechanism for precise angle adjustment, the black powder coat-finished KSA8585 rises 10" (from single tier stands) and includes a hook and loop for safe, secure gear-fastening. 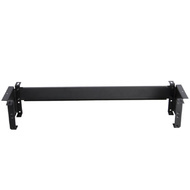 Tray Dimensions :12" x 8"
Tray Height (from 1st tier): 10"